"He never falters. You think knob gags are easy? Clary makes them flow like cheap German wine." The Times. "Outrageously funny. A master comedian at the top of his game." What's On Stage. 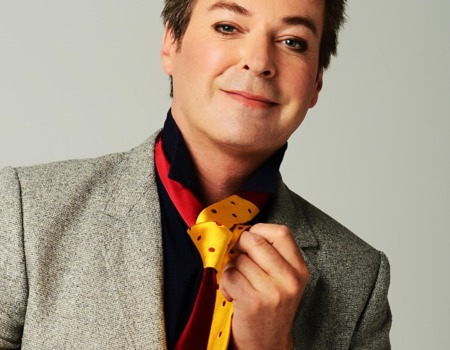 Following his sell-out residency in 2015, Julian Clary is back with AN EVENING WITH JULIAN CLARY - a daringly intimate night of camp cabaret alongside pianist Simon Wallace. Expect music (after a fashion), an abundance of laughter, sharp- witted jibes - often at the expense of the audience - and partying up close and personal with the man himself. Oh, and eye watering filth. Much-loved comedian and elder statesman of the double entendre, Julian remains one of the country's most popular and least predictable entertainers. For the last 30 years he has amused and abused us and will soon be embarking on a National Tour called The Joy of Mincing. Julian is a comedian, TV star, Sunday Times best selling novelist and a regular panelist on Radio 4's Just a Minute.